In today’s life things happen so fast that we are struggling to keep up. We experience it as farmers especially during planting and harvest time. It is managing the one important thing after the other, long hours, hard work. For Grain SA it is exactly the same, however it seems that it’s not only a certain season, but the whole year around. The whole debate around expropriation without compensation was also like this. We were running around, trying to get behind the facts and the reasoning. However, in this whole debate we found like minded people across the spectrum, people that could be reasoned with, people that share the same vision for South Africa. Although from different backgrounds and a different history, we all recognised the need for faster land reform, we all recognised the current shortfalls, but we all see it essential to give all people the opportunity to own property, and then protecting their right to do so. At the recent Land Deliberation in Bela-Bela the willingness of farmers and the innovative plans they came with astonished me and the other attendees. The lengths that people went through to help their fellow countrymen was amazing. And the difference that it made in communities. The common thread throughout the conference however was how God led them to their decisions, how God guided them to get the right partners, or how He showed them what was needed. His hand was very clear in all this. In reflection, the whole land debate and how things started to change since mid-June, is that there is only one explanation. God has taken control. And the more one reflects, the more we can see what’s happening and how He uses people and institutions to guide and build the whole future of South Africa. In 1 Thessalonians 5 verse 16 - 18, the Lord tells us to always rejoice in Him, pray constantly, and give thanks in everything. When we live our busy lives, we forget to rejoice in Him. We forget to thank Him, we also forget to reflect on all that He has done for us, all the blessings that we so humbly receive. Through this Christmas time, may we use the time to reflect on a year where He has blessed us in so many ways, through good and bad, and may we pursue the assignment that He has given us through Paul! May you have a blessed time with friends and family, may you reflect and rejoice, may He rejuvenate you for the coming year, and may His light shine upon you! 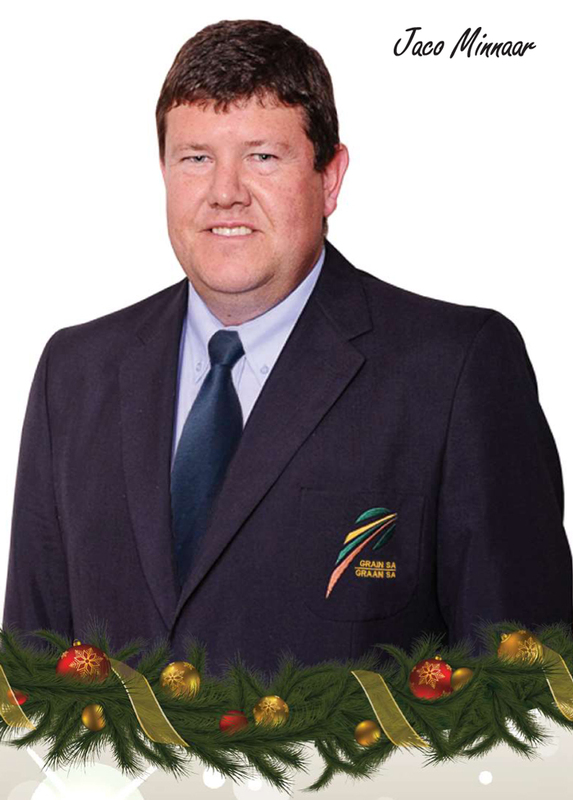 Article submitted by Jaco Minnaar, Chairman of Grain SA. For more information, send an email to jaco@compuking.co.za.